Singapore-based startup RateX has raised S$3 million (US$2.3 million) in a pre-series A funding round participated by Indonesia’s Alpha JWC Ventures and Insignia Venture Partners, which is former Sequoia venture partner Yinglan Tan’s new VC fund. It will use the newly-raised funding to launch of its mobile app in Singapore in Taiwan as well as accelerate its overseas expansion into Indonesia this year. RateX is a free browser extension that automatically provides shoppers with the lowest exchange rate at no transaction fee for overseas purchases through e-commerce platforms. It also allows users to automatically apply coupon codes. To date, RateX claims that its users have saved over S$264,000 (US$200,000) through lowered exchange rates and transaction fees, and S$396,000 (US$300,000) through discount coupons offered at checkout. It has partnered with payment processors such as Adyen and Alipay, and major e-commerce marketplaces including Amazon, TaoBao, Lazada, Singapore Airlines, AirAsia, and Expedia. “Our users can now save up to twenty percent on their purchases from their favourite websites. We are achieving this while bringing affiliate sales to our merchant partners; a win-win situation for all. By doing this, we hope to enhance global cross-border commerce while helping Asian consumers get a great deal,” added Jake Goh, CEO and Co-founder of RateX. “They are solving a real FX issue, and online shoppers are able to save 5-ish per cent on FX every time they check out via the RateX extension. The market potential is huge,” said Chandra Tjan, Co-Founder and Managing Partner of Alpha JWC Ventures. According to research firm Frost & Sullivan some 89 percent of shoppers in Singapore shop online on websites outside of Singapore; and the average online shopper in Singapore spends around US$1,066 each year on e-commerce transactions. So, there is a clear market proposition for RateX’s tool. Currently, RateX’s browser extension is only available for Google Chrome and Firefox desktop browsers. 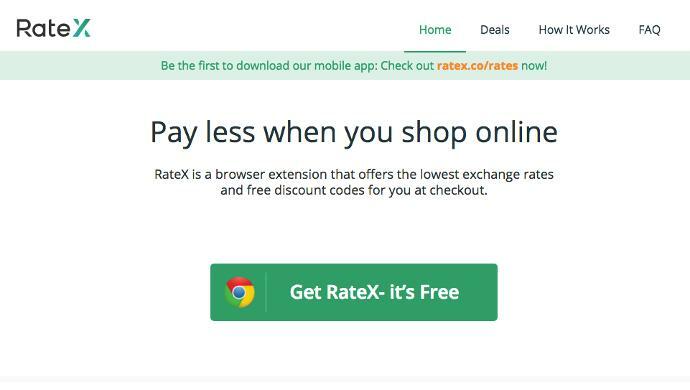 The post Singapore startup RateX raises US$2.3M to make online shopping cheaper via low exchange rates appeared first on e27.